Between 1954 and her suicide in 1971 Diane Arbus took some 150,000 photographs. Her work was first published in 1960. She was close to Richard Avedon and studied under Alexey Brodovitch. Her posthumous retrospective exhibition at the Museum of Modern Art in New York in 1972 showed some 150 portraits upon which her reputation was built and has been sustained ever since. Her subjects ranged from anonymous strangers found on the street to celebrities, freaks, circus people and nudists. They are some of the most daring photographs ever made. The 1972 MoMA catalogue has never been out of print and has sold unparalleled quantities. The great retrospective drawn from her entire career has until now remained unpublished. This is a milestone book for which we have been waiting years. The book reproduces two hundred full-page duotones of Diane Arbus photographs spanning her entire career, many of them never before seen. 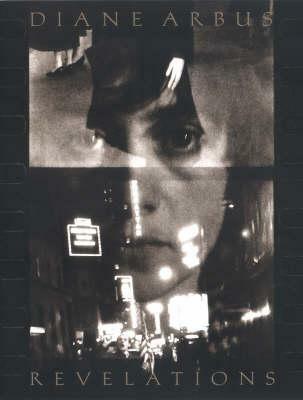 It also includes an essay, 'The Question of Belief' by Sandra S. Phillips, senior curator of photography at the San Francisco Museum of Modern Art, and 'In the Darkroom', a discussion of Arbus's printing techniques by Neil Selkirk, the only person authorised to print her photographs since her death. A 104-page Chronology by Elisabeth Sussman, guest curator of the San Francisco Mueum of Modern Art show, and Doon Arbus, the artist's eldest daughter, illustrated by more than three hundred additional images and composed mainly of previously unpublished excerpts from the artist's letters, notebooks and other writings, amounts to a kind of autobiography. An Afterword by Doon Arbus precedes biographical entries on the photographer's friends and colleagues by Jeff L. Rosenheim, associate curator of photographs at the Metropolitan Museum of Art. These texts help to illuminate the meaning of Diane Arbus's controversial and astonishing vision. Sandra Phillips is Curator of Photography at San Francisco Museum of Modern Art. Doon Arbus is Diane Arbus's daughter.